I wanted to share with you how we created our shared class vision. I started out by reading the book Salt in His Shoes. "Michael Jordan. The mere mention of the name conjures up visions of basketball played at its absolute best. But as a child, Michael almost gave up on his hoop dreams, all because he feared he'd never grow tall enough to play the game that would one day make him famous. That's when his mother and father stepped in and shared the invaluable lesson of what really goes into the making of a champion -- patience, determination, and hard work. 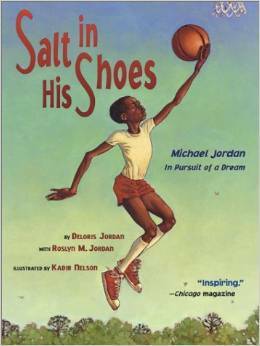 Deloris Jordan, mother of the basketball phenomenon, teams up with his sister Roslyn to tell this heartwarming and inspirational story that only the members of the Jordan family could tell. It's a tale about faith and hope and how any family working together can help a child make his or her dreams come true." 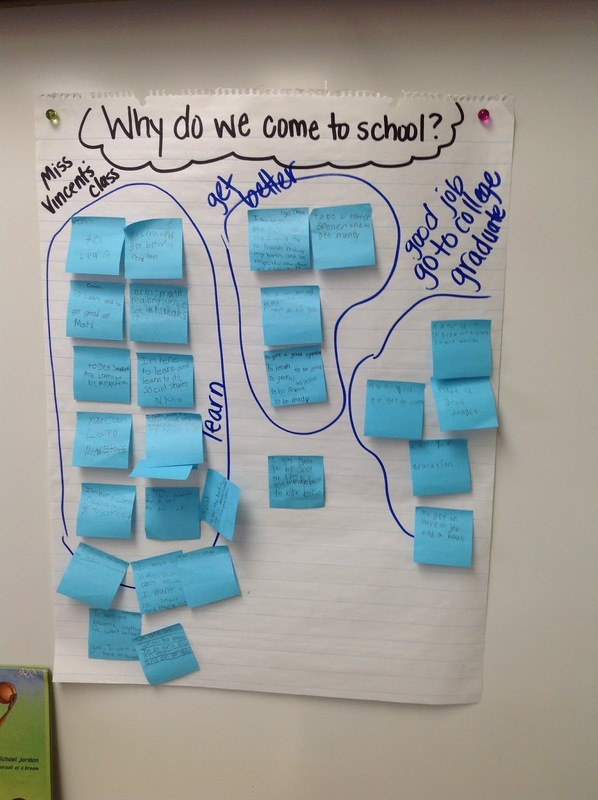 After reading the book, I gave each student a sticky not and asked them "Why do we come to school?" I had to help a few out, because they struggled getting past that they have to! LOL! Each student then read what they wrote and we grouped them into categories on chart paper. We stopped at this point for the day. I did the same with my other class. 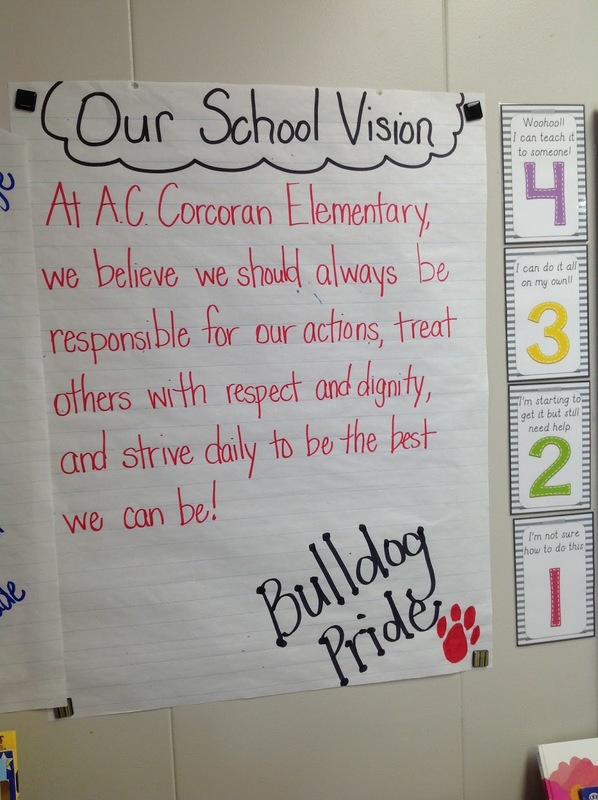 The next day, we read and discussed our school vision and it's importance. Once both classes agreed on the wording, I wrote it on chart paper and hung it up in our room. All of the kids signed the bottom, but I forgot to take a picture of it! 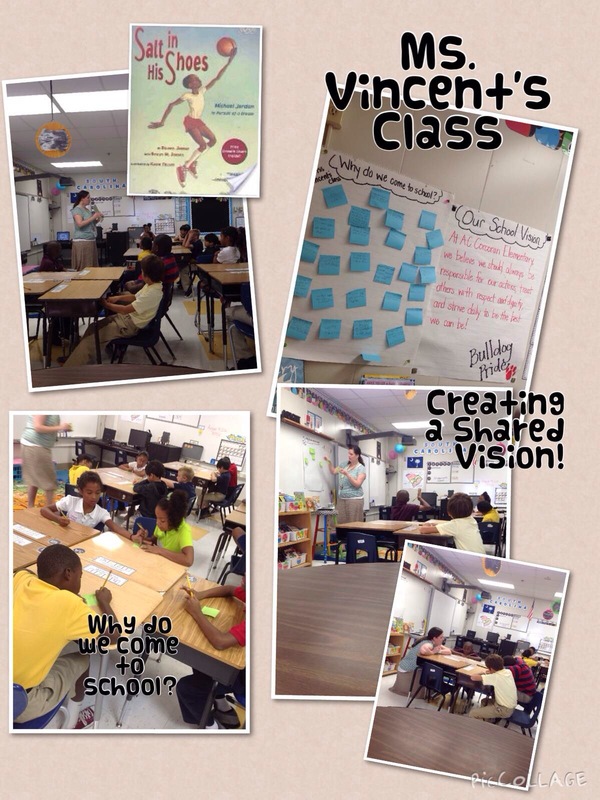 We say our class vision every morning! It really creates a sense of community and the kids take such ownership in it since they created it! Do you create something similar with your students? I've heard of that book but never read it. 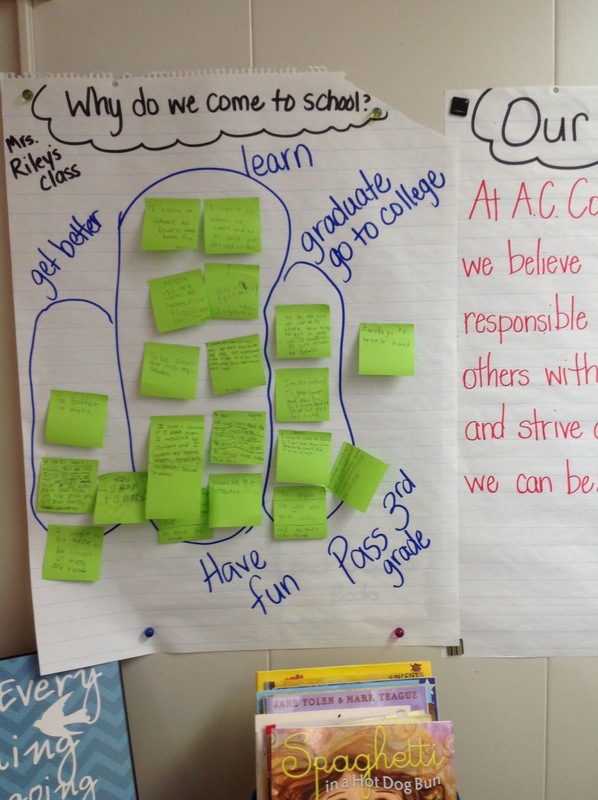 I like how the grouping showed students that they all had similar goals. 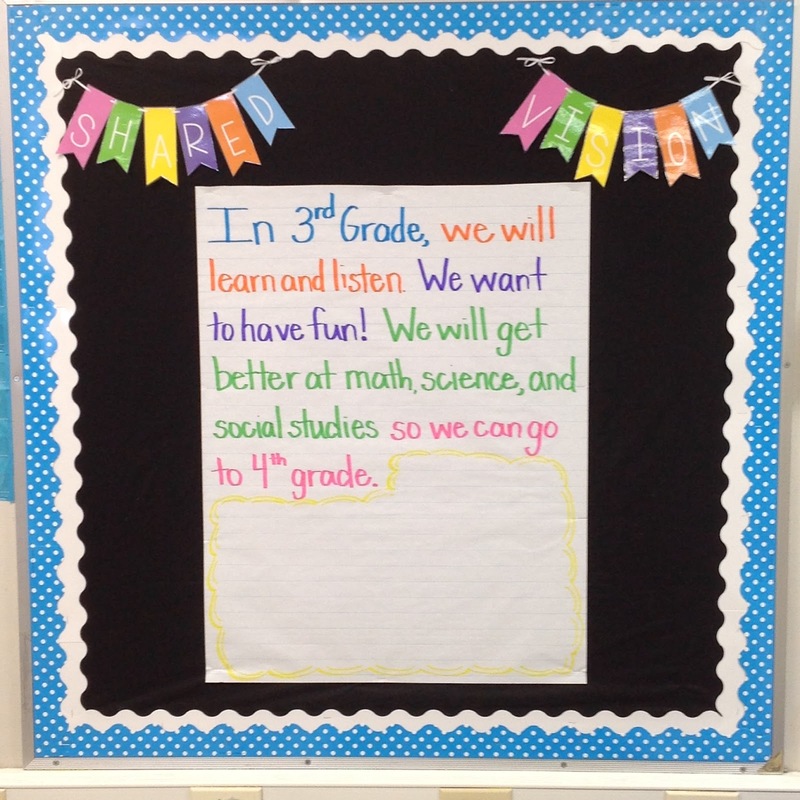 Great way to create your class vision! What a cool lesson! What a great book to get your boys to "buy in" to the concept! 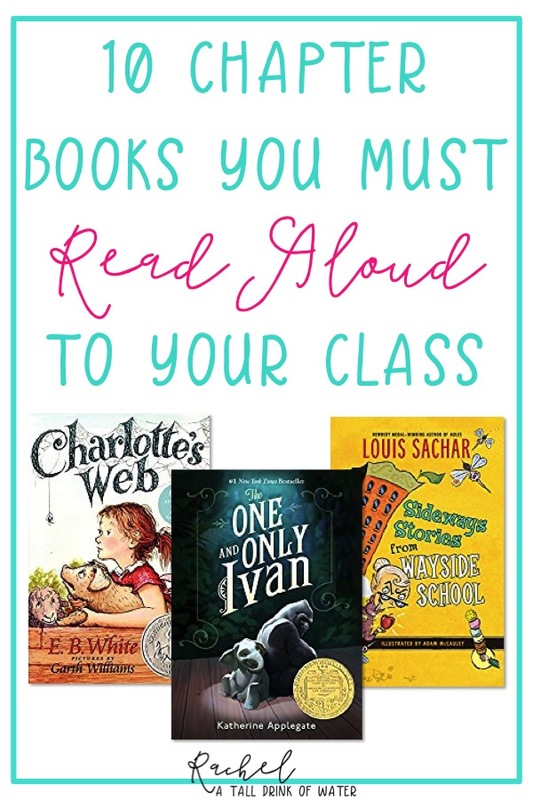 I love the idea of using a book to help guide the discussion! 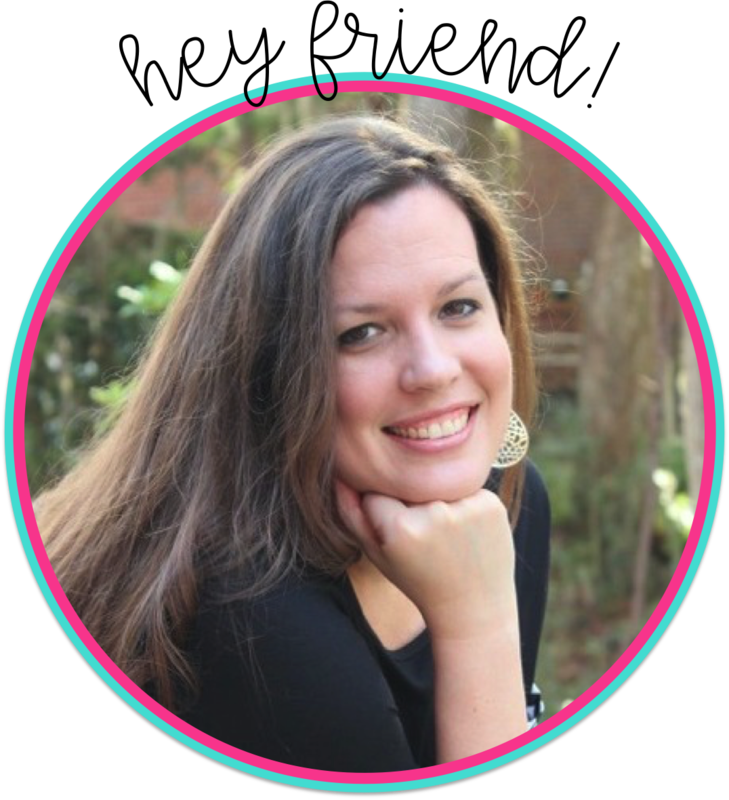 Also, I am really excited to share your blog with the teachers down the road at Pepperhill! :) Thanks! Love this idea Rachel! Thank s for sharing such a great way to build community and start the year off right!